No matter if your room decoration is mostly finished or you are just looking for a theme, start with defining your suitable material range. Wood is definitely one of those examples that can fit into any decoration picture. Glossy MDF that gained enormous popularity over the last couple of years is another nice example for a modern setting. Glass, depending on the tempering technology, can become a great addition for a variety of rooms, too. Since you are looking for a storage unit, defining your storage capacity is another logical step you should not take off the counts. Also, take some time to think which types of storage units will be the best ones to accommodate all of the objects you have in mind. TV stands with storage for flat screens can feature cabinets, shelves, drawers, as well as different combinations of the above. 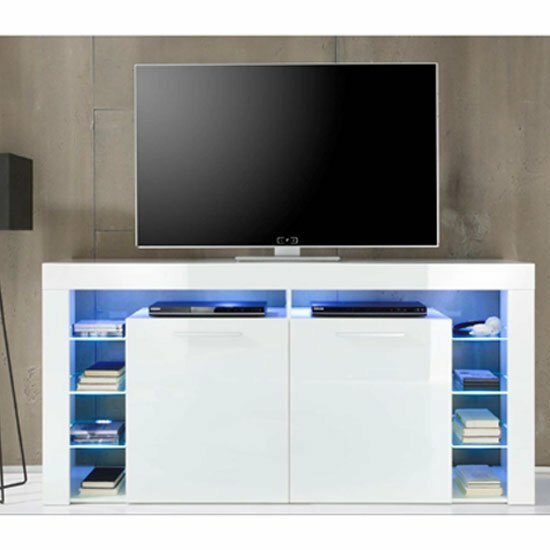 Ideally, TV stands with storage for flat screens should be equipped with retarder system (drawers and cabinet doors). 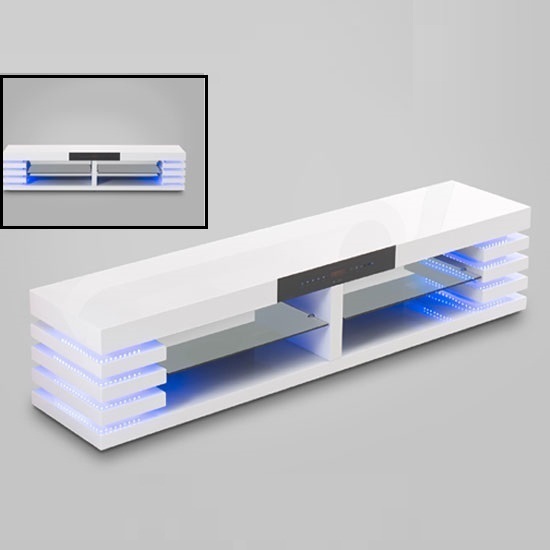 The piece will be just a little bit more expensive than units without the retarder mechanism, but the comfort of usage will be way higher. Another decoration tip while looking for TV stands with storage for flat screens is to stick to simple and unobtrusive designs — especially, if you are working on a modern setting. Contemporary interiors are characterised by minimalistic approach to decoration. Still, there is always a way to make your interior memorable — even if you stick to simple furniture designs. Contrasting different colours in the same room is the easiest way. You can either look for contrasting furniture, featuring different shades and material combinations or simply paint one of your walls bright. Also, do not forget that while looking for quality TV stands with storage for flat screens, the choice of a store is incredibly important. Reputable platforms can generally account for high quality of every distributed product, and they can usually keep prices competitive. In the UK, a very nice example of a store you can rely on is Furniture in Fashion . This local platform offers an amazing product selection from some of the leading manufactures, while keeping prices moderate. Plus, the company actually operates in the country, which, of course, ensures swift delivery to any part of the kingdom.